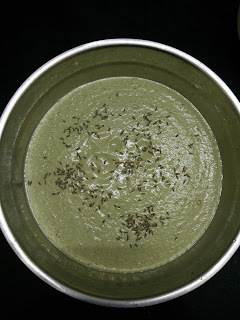 What made me to tryout this recipe ? 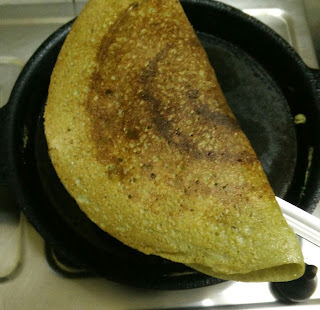 I tasted this pesarattu @ " Chutneys Begumpet, Secunderabad " for the first time and liked it very much.They have one more interesting item called "MLA Pesarattu". This special pesarattu will be served along with upma inside .... I just can't explain the heavenly taste of it with ginger chutney. 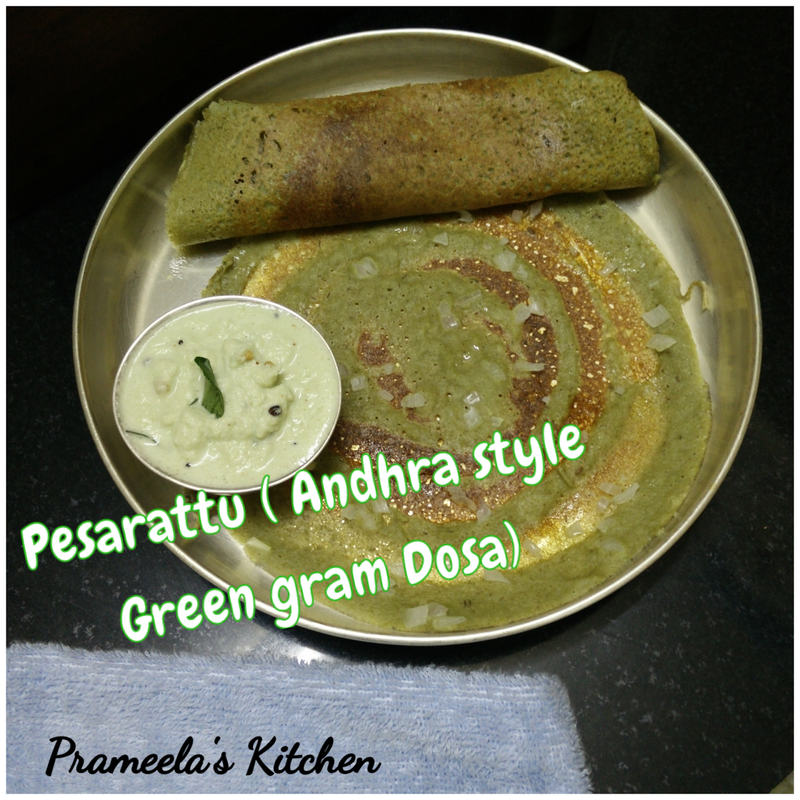 If you visit hyderabad, I recommend you to taste this nutritious, yummy healthy Andhra special dosa. 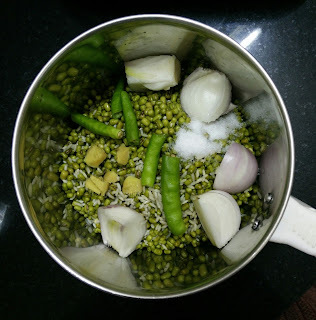 Soak green gram and rice together for about 6-7 hours in water. 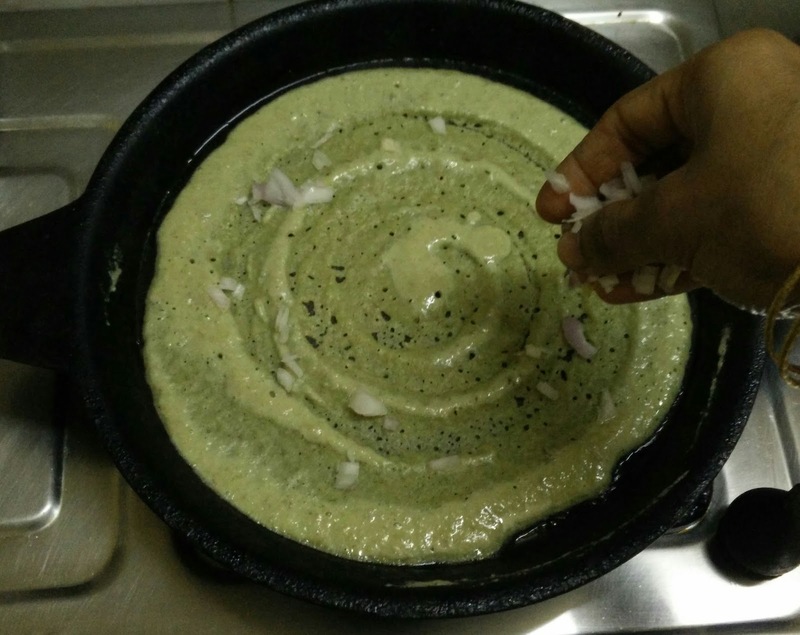 Grind soaked green gram,rice,one onion,green chilly, salt and grated ginger into a smooth paste by adding adequate water. [Consistency should be of dosa batter neither very thin nor very thick]. 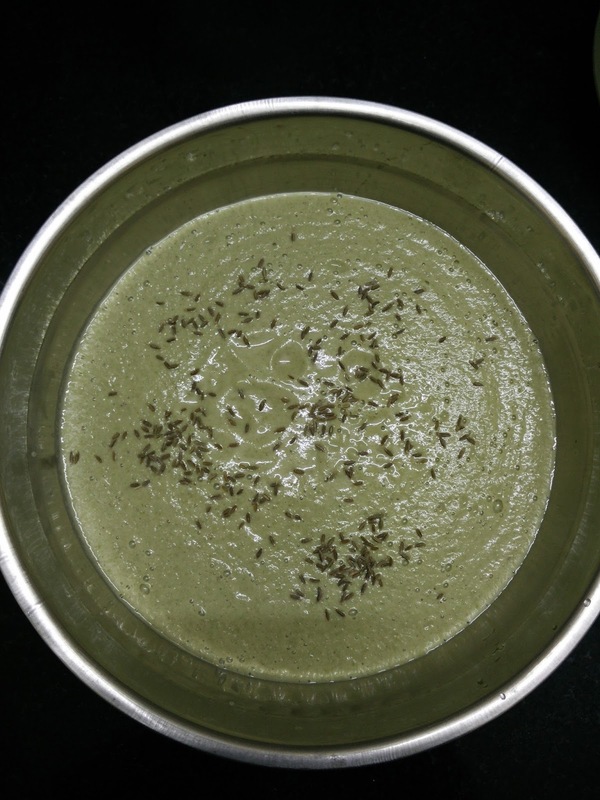 Now add cumin seeds to the batter and mix it well. 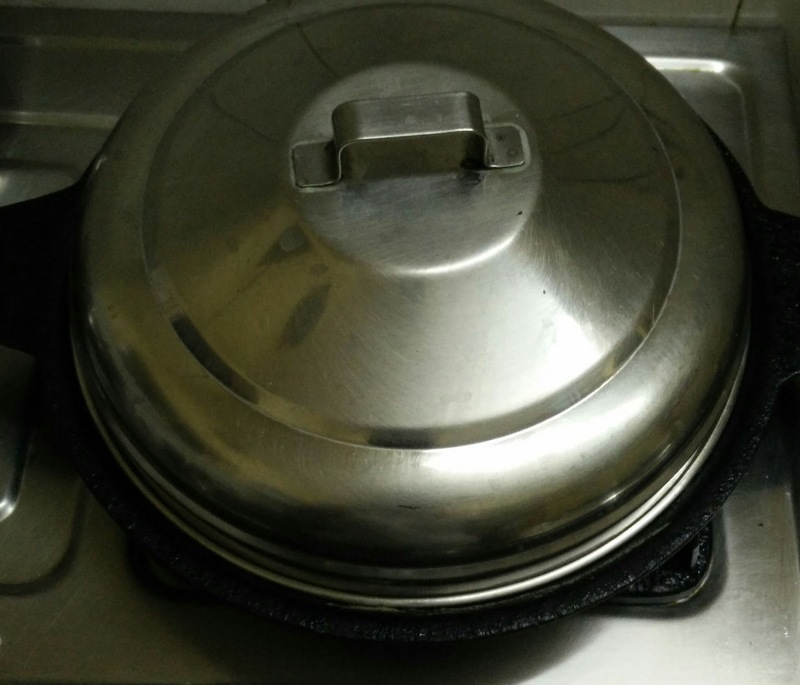 Grease a hot tawa with little oil. Pour a ladle full of batter in the center and spread it in a circular motion from the center to the outside of the tawa to form a dosa. Now sprinkle chopped onion , and press it with ladle carefully. Add in a spoonful of ghee/oil. 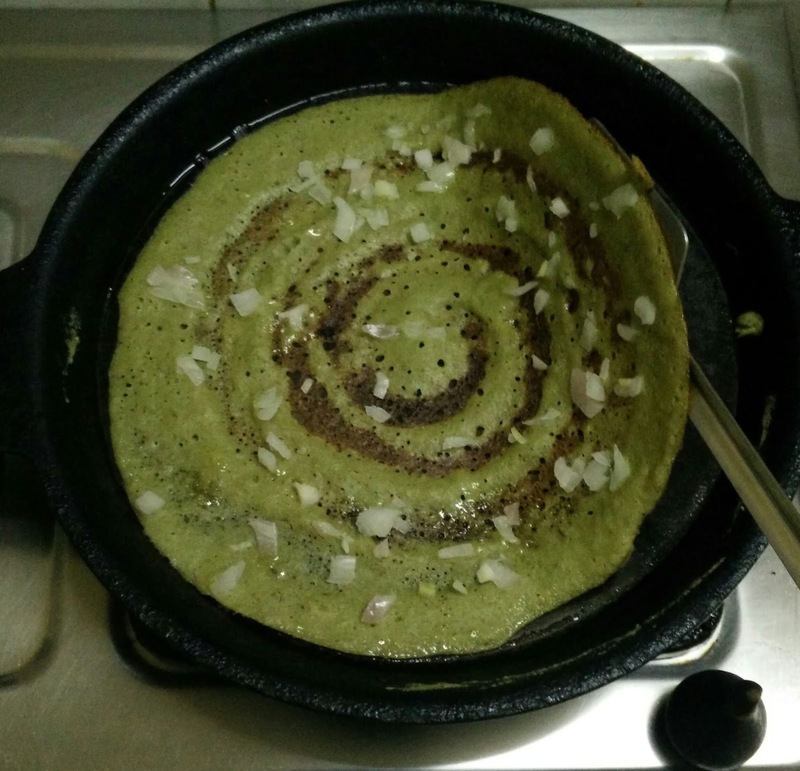 Cover the dosa and cook till it becomes golden brown at the bottom and raw smell of green gram goes off. 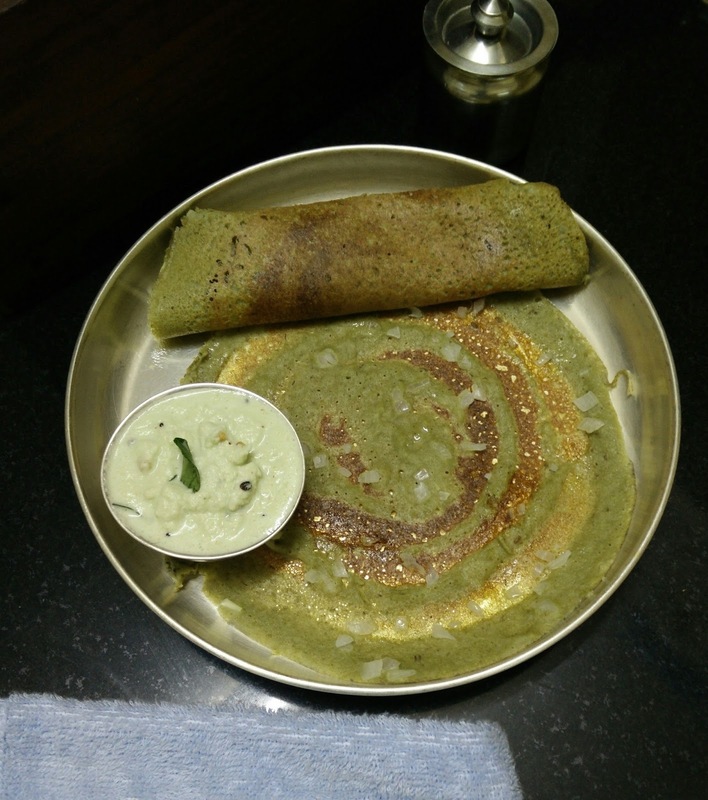 Serve this protein rich dosa along with coconut chutney. You can avoid onion if you don't like . In the original recipe , only 2 tsp of rice is mentioned ... instead I used 2 tbsp. You can refrigerate the batter and use it next day too.